F&N Sparkling Drinks presents a television series titled MTV Sessions for artistes to showcase their talents in an intimate studio environment. It will be filmed live in front of a studio audience where music fans will get to know a different side of their favourite artiste through the live and up-close performances, friendly banter and interview footage. MTV Sessions is back again on May 16, 2013 with its Sixth episode of MTV Sessions presented by F&N Sparkling Drinks at Resort World Sentosa’s Waterfront Studio. This time, an Australian indie rock band, The Temper Trap, will be showcasing their skills in an intimate studio environment. It will be filmed live in front of a studio audience where music fans will get to know a different side of the band, through live performances and up-close Q&A sessions. F&N Sparkling Drinks is organizing a contest to give out 20 pairs of invites through their ongoing facebook contest: https://www.facebook.com/FnNFuN. 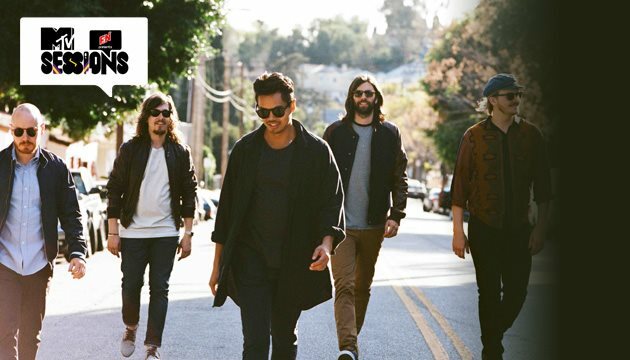 You can win a chance to meet The Temper Trap up close and personal at MTV Sessions and be part of this live recording by participating in a simple contest. ‘Like’ the F&N Sparkling Drinks Facebook page. Answer the question: Tell us two song titles by The Temper Trap. The prize must be collected in Singapore. Flight and/or accommodations to Singapore are not included in prize. Contestants will be identified by their NRIC or passport numbers. Deadline for submission is before 11:59PM on May 12, 2013 (Singapore time). Winners will be announced on May 13, 2012.